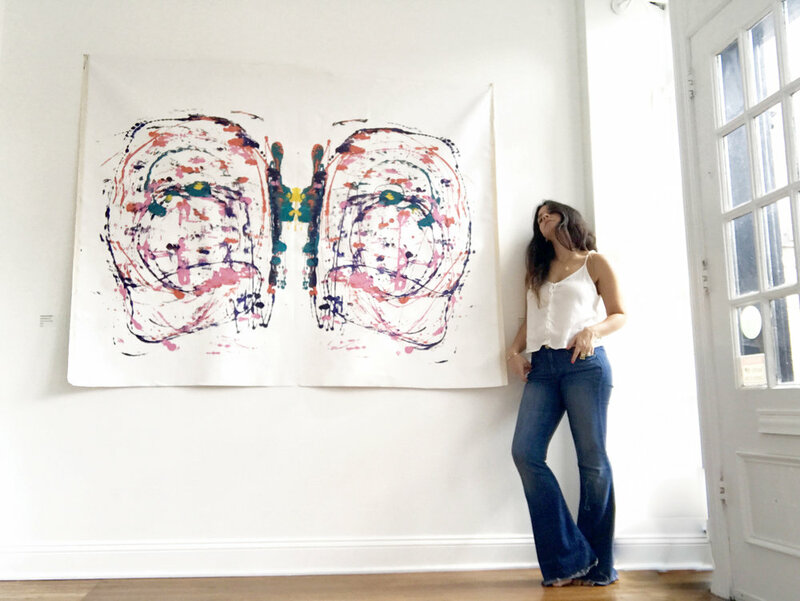 Born and raised as a Haitian-American in the Washington, D.C. area, Fierro's passion for design and love for aesthetic is reflected through all variations of her work. As a former visual stylist for luxury retail outposts, Fierro developed the ability to effortlessly style photo shoots as well as a passion for interior design. Known for her diverse background and comprehensive photographic craft, working with mixed materials for contemporary abstract pieces and portrait paintings, Fierro is inspired by everyday life and the emotion within and her work reveals what is superb in the simplicity of life. She describes her passion as "Always seeking to capture all the little things within our everyday lives. There are so many beautiful and complex pictures living and breathing behind the lens of life that very few people notice." As a strong believer in giving back to her community, Fierro donates her time and a portion of her profits to many organizations, particularly those who fight to end crimes against humanity, end genocide and empower women including: J/P HRO, Enough Project, Dr. Tom Catena and Project Soar Marrakesh. Fierro’s work has been featured in many publications and exhibits including Capitol File Magazine, Neiman Marcus, Bloomingdales, FOTOWEEK, FotoDC Flash exhibit, Studio H Gallery, Lillian August Gallery, SeeMe Art Festival and SUPERFIERCE (a traveling all-female exhibit). Call me at: 301.437.0977 to make an appointment. All images are copyrighted by Dominique Fierro 2015. I have some special shout-outs to give!! To my dear friend Maggie O'Neill a fantastic D.C. artist who has given me so many opportunities. THANK YOU!! And to the amazing SWATCHROOM thats creates many opportunities for artist.